Shelly Beach, Nambucca Heads, NSW, Australia. Christmas evening. 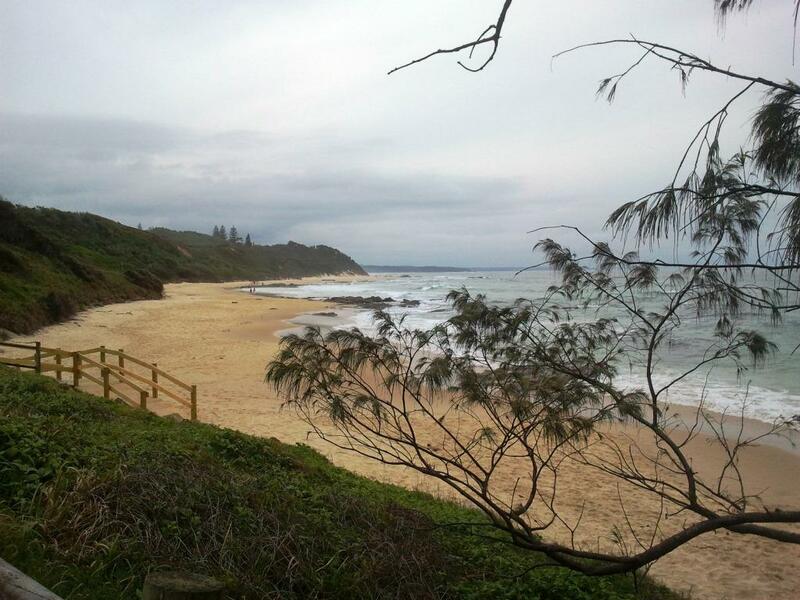 This entry was posted in Blog and tagged Australia, beach, my life, Nambucca Heads. Hope you’re having a wonderful peaceful time. Thank you. A ‘wonderful peaceful time’ excatly sums up Christmas Day, and the entire holiday! Extremely nice. You had me reaching for the map book as usual! My internet connection ie browser issues (and yes, I have tried more than one) is still poor today. all these people skyping and mailing and blogging over Christmas! We didn’t get any rain on Christmas Day, and very little at all during our break. Despite the appearance of cloud and sea mist, it was a perfect afternoon for a walk on the beach and a swim. My efforts at connecting to the internet at TA were fruitless and frustrating… I gave up. That lovely beach is so not like ours at the present. Have a wonderful Holiday, EllaDee. Haven’t hanging around the computer much so I’m late – but hope you had a Merry Christmas – and are enjoying this left over week! This looks like a beautiful beach. (Sigh of appreciation! ).